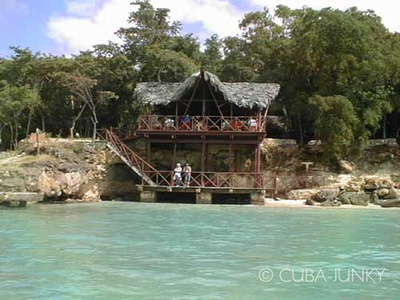 The close to 50 beaches in Holguin's Province cover allmost 40 km (25 miles) of coastline. Very intimate, they are among the most pictoresque beaches in the Caribbean and have a warm turquoise water that is very calm, thanks to the protection offered by nearby coral reefs. They are bordered by thick vegetation which is typical for this province, which has 12 wildlife refuges. 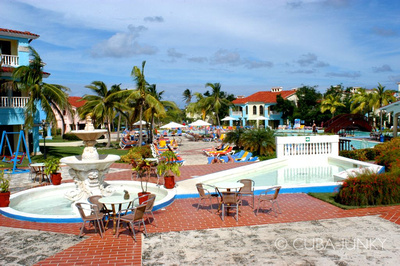 Brisas Guardalavaca overlooks one of the most beautiful beaches of the eastern region of Cuba and is close to the landing spot which so astonished Christopher Columbus in 1492. 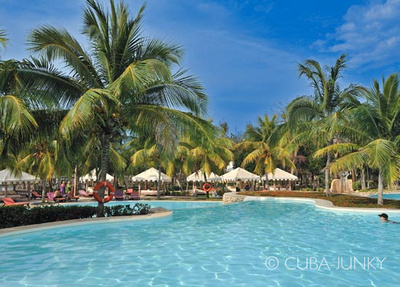 A friendly resort positioned just a few steps from the beautiful Guardalavaca beach, this hotel offers very good value with a wide range of different room types and recreational activities for the whole family. 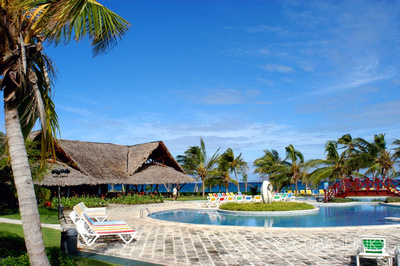 Hotel Playa Costa Verde is located on beautiful Playa Pesquero beach, Playa Costa Verde is the latest addition to the Gaviota family of hotels. 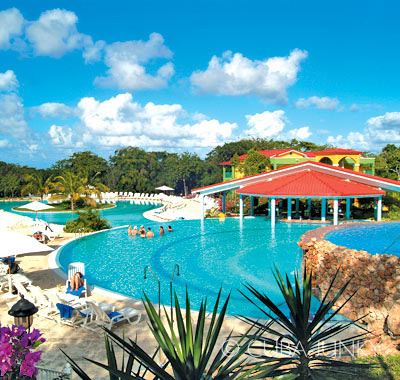 This all inclusive resort is located on a stunning, natural beach in the resort area of Holguin. 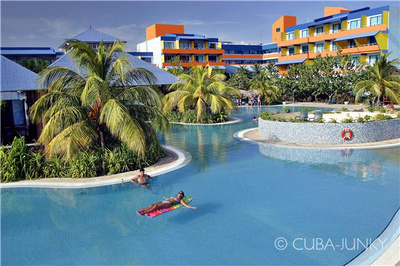 The resort is located approximately one hour from the Holguin Airport and about 15 minutes from the town of Guardalavaca. 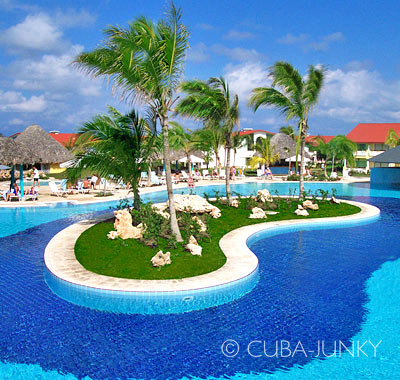 Located on beautiful Playa Pesquero beach, Blau Costa Verde offers great all-inclusive value with such extras as continental-breakfast room service and around-the-clock food and beverage service, including a 24-hour lobby bar. Next to Bahia de Naranjo National Park, and near the area where Columbus first landed, this hotel is conceived as an all-inclusive eco-village. 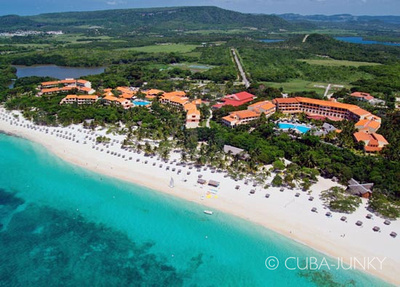 The luxurious Hotel Paradisus Rio de Oro is located in a truly privileged position, in a natural environment of white sandy beaches, in front of one of the world's most beautiful barrier reefs. Serious divers will appreciate the well-equipped international diving center at the modern resort, Sol Club Rio de Luna, which also offers courses for beginners. Hotel Pernik is an attractive, sober and elegant budget hotel with features suitable for the full enjoyment of your holidays. 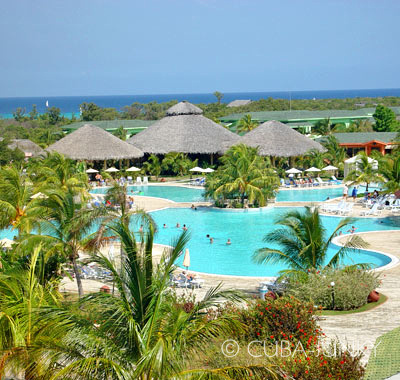 Hotel Cayo Saetia is located on Nipe Bay, the biggest bay in Cuba, this is an enticing paradise for visitors because of its virgin beaches and its exotic flora and fauna. 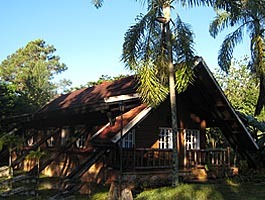 Those who enjoy nature and adventure tourism will find in Holguín a space of privilege for these activities: the national park of La Mensura, habitat for about 300 endemic species of Cuban flora and where Villa Pinares de Mayarí is located.